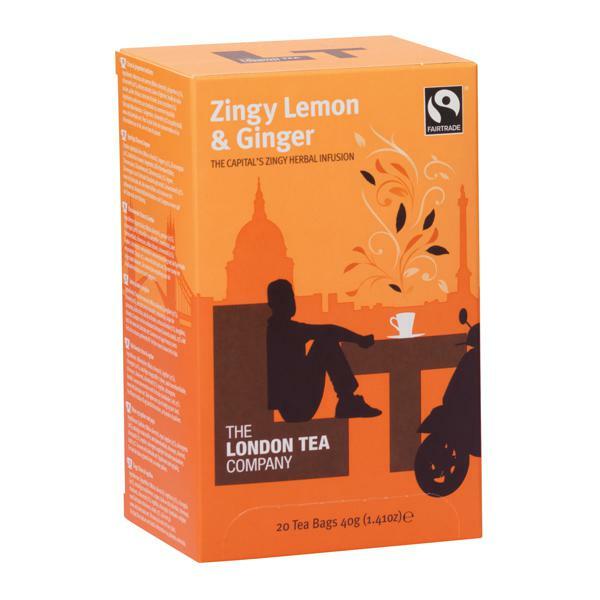 This London Tea lemon and ginger tea is a zingy blend of ginger root, lemongrass and lemon. Delivering a burst of fresh, vibrant flavour, the tea is an ideal pick me up for any time of the day. 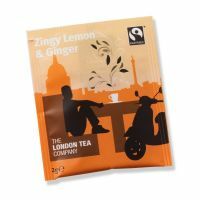 Each envelope tea bag comes individually wrapped for freshness. This pack contains 20 Fairtrade tea bags.